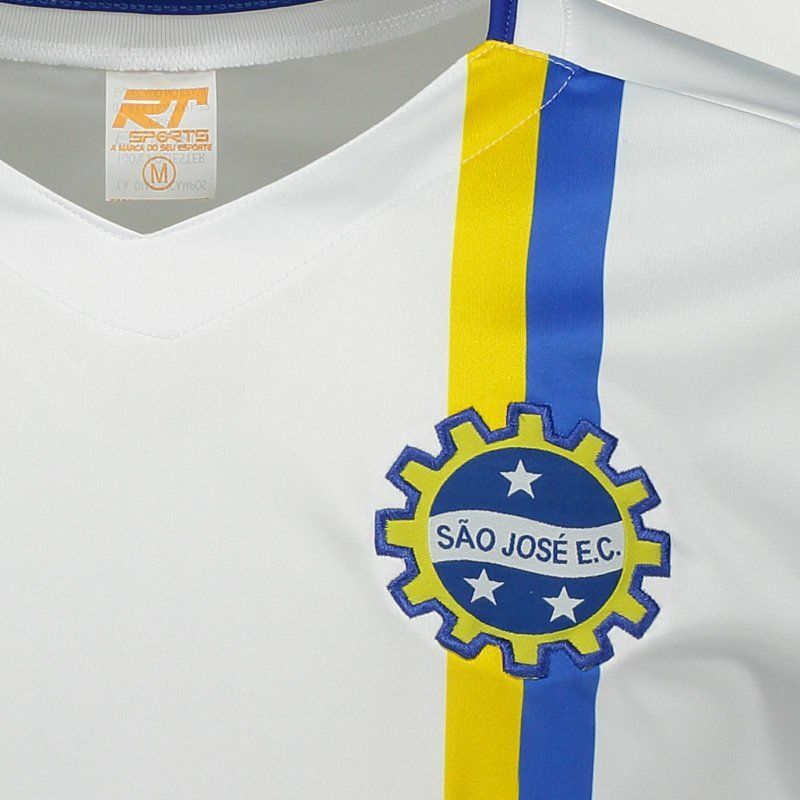 After a vote by the fans, the São José 2018 reserve shirt, made by RT Sports, features predominantly white design and has two vertical stripes on the left side, one yellow and one royal blue, which also appears on the bar and sleeve cuffs, which features a More info. 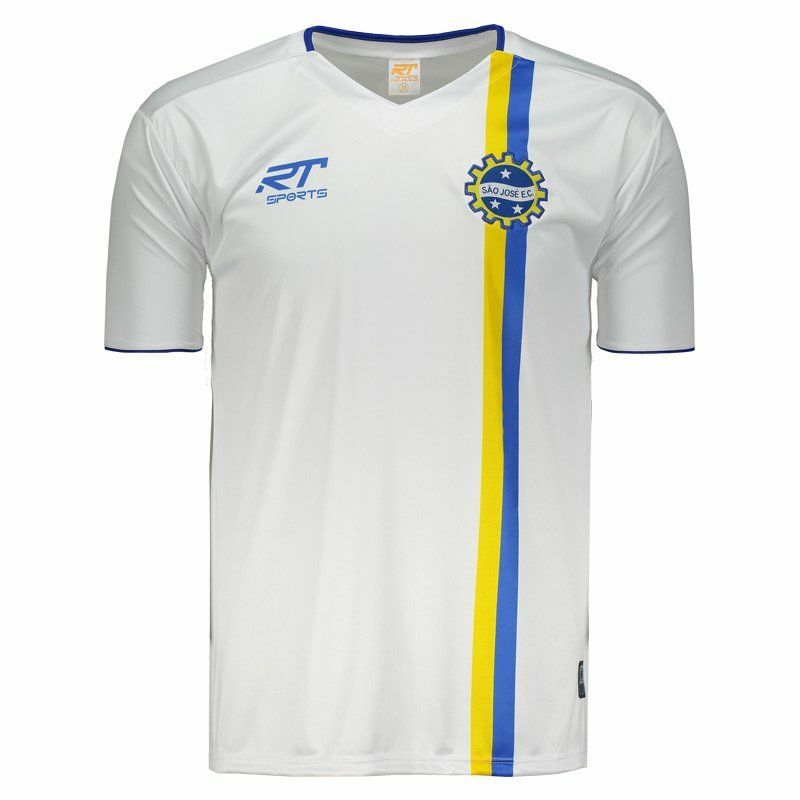 After a vote by the fans, the São José 2018 reserve shirt, made by RT Sports, features predominantly white design and has two vertical stripes on the left side, one yellow and one royal blue, which also appears on the bar and sleeve cuffs, which features a ribbed finish for a better fit. 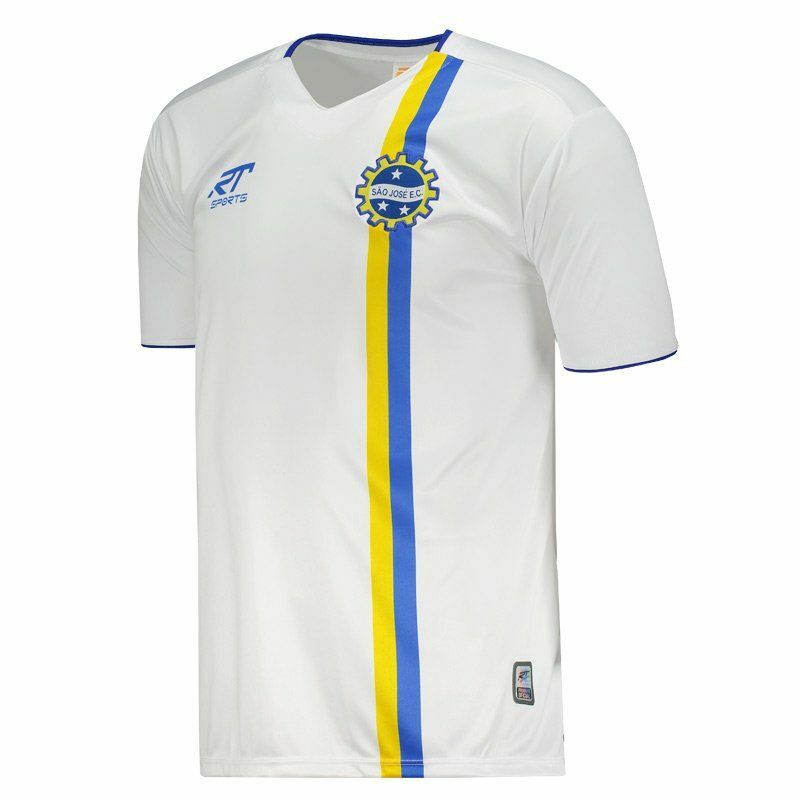 Made of lightweight and sturdy polyester, the piece comes with Tecno Dry technology, a quick drying fabric that leaves the body dry and comfortable. 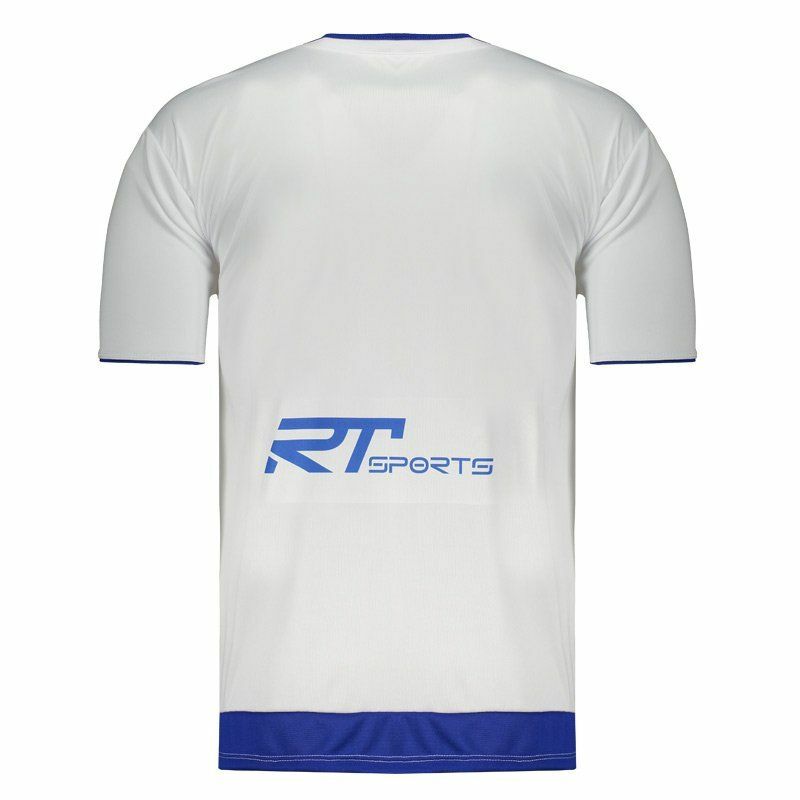 Finally, the shirt can be customized with name and number using the official team fonts.